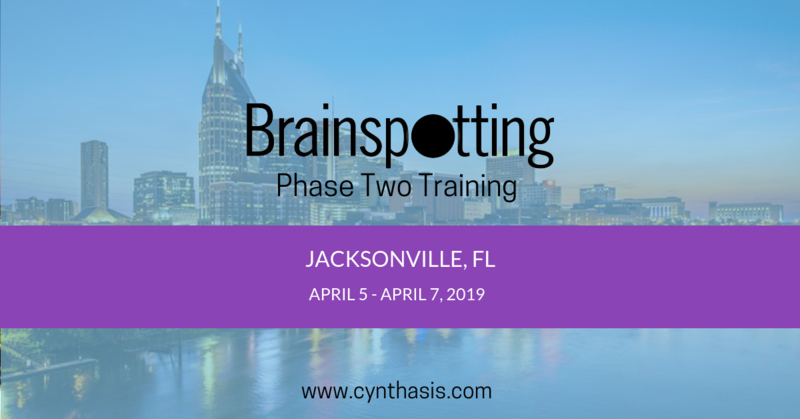 This 3-day Brainspotting Phase 2 training will begin with an extensive review of Outside and Window Brainspotting and Gazespotting, with an emphasis on how to clinically interact with clients. Trainees will be introduced to several important applications. This includes One-Eye Brainspotting including the use of One-Eye goggles. Also taught is 3 Dimensional Brainspotting using the “Z-Axis” of Brainspotting close and far, this includes Convergence Therapy which expands the Z-Axis to activate the vagus nerve through the ocular cardiac reflex. Additional technical refinements will be presented including “Rolling Brainspotting,” with slow eye tracking stopping briefly on each Brainspot. Advanced techniques will also include combined Inside-Outside Brainspotting where both reflexive responses and client sense of highest activation are used together to find Brainspots. Day 3 will be devoted to the second level of the Advanced Resource Model. This will entail combining the resource aspects of One-Eye and Z Axis Brainspotting. This addresses working with clients with Very Complex PTSD and those outside of the Brainspotting Window of Tolerance.